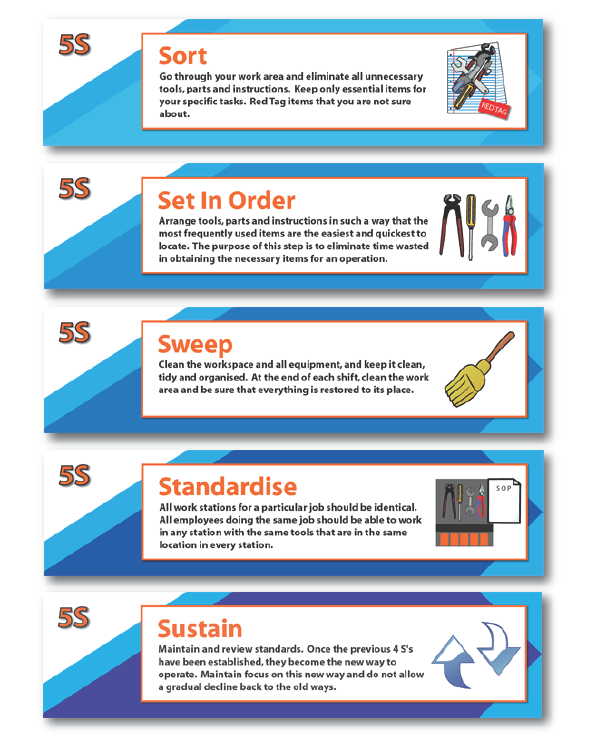 Promote and sustain the continuous 5S methodology throughout your work place with our Self Adhesive Vinyl 5S posters. Available in 2 sizes (A3 & A2), these posters will support your 5S culture change within your company, by not only educating your colleagues on the 5S Pillars, but also acting as a consistent reminder of the need for sustaining 5S. 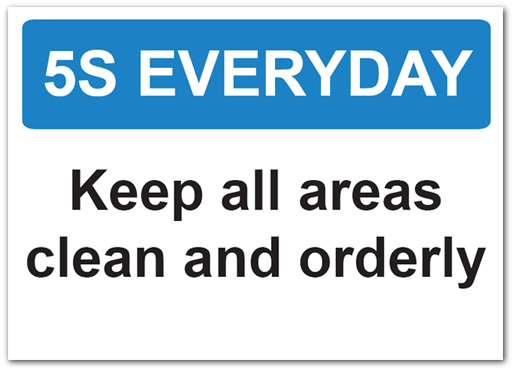 These Self Adhesive Vinyl posters are regularly purchased by the likes of Lean Consultants, In house Lean Facilitators,6 Sigma Black belts, Kaizen Event Team Members, Managers and Teamleaders.